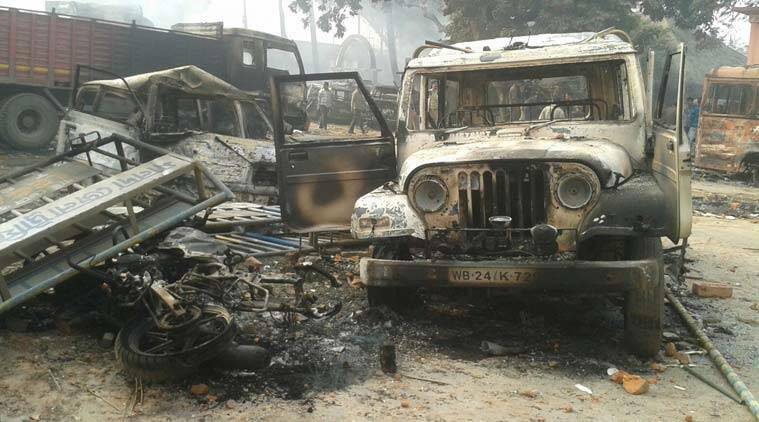 The communal situation in Malda is believed to be tense since yesterday. A rally organized by a Muslim Organization,Anjuman Ahle Sunnatul Jamat, protesting against the comments made by Kamlesh Tiwari (the supposedly Hindu Mahasabha leader from Uttar Pradesh) soon spiralled out of control. Around 30,000 people are believed to have attended the meeting. Rioters set fire to a police station and blockaded NH34 for several hours. There are also reports that several houses were set on fire and that a villager has been shot at.There are also reports that the mob went berserk after rumours that BSF had opened fire on the protesters. As of now, tense peace prevails in the region, now that BSF and local police are swarming the town. This is not a stray incident. Over the years, West Bengal has become a laboratory for fringe Islamic elements and the ugly face of vote bank politics practised in the name of Secularism by the Left front for decades and continued by Mamta Bannerjee is now becoming evident. News reports that link Left and Trinamool leaders to extremist elements have now become common place. The last census before Indian independence was held in 1941. At that time, in communal breakup in Bengal (West and East both) was 53.4% Muslim, 41.7% Hindu and around 4.8% tribal. 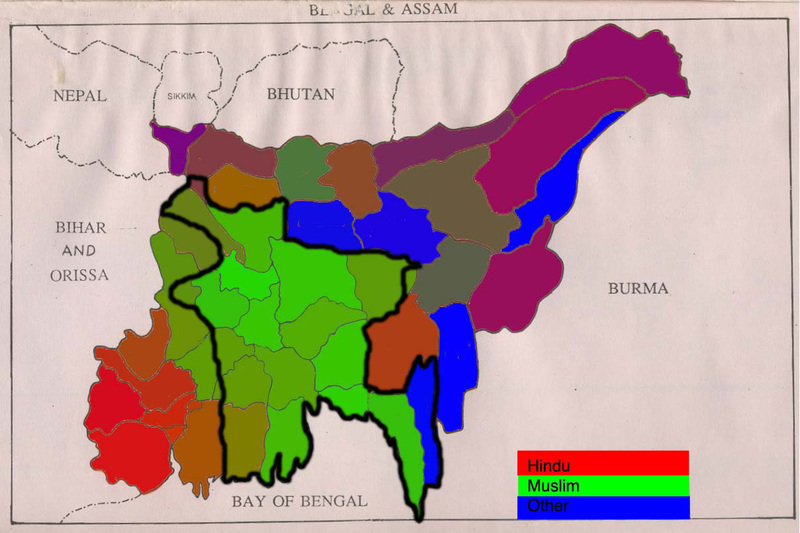 During the partition, Muslim majority districts of Malda (slight Muslim majority) and Murshidabad (70% Muslim majority) were given to India, while Hindu majority district of Khulna (51% Hindus) and Tribal dominated Chittagong Hill tracts was given to Pakistan. 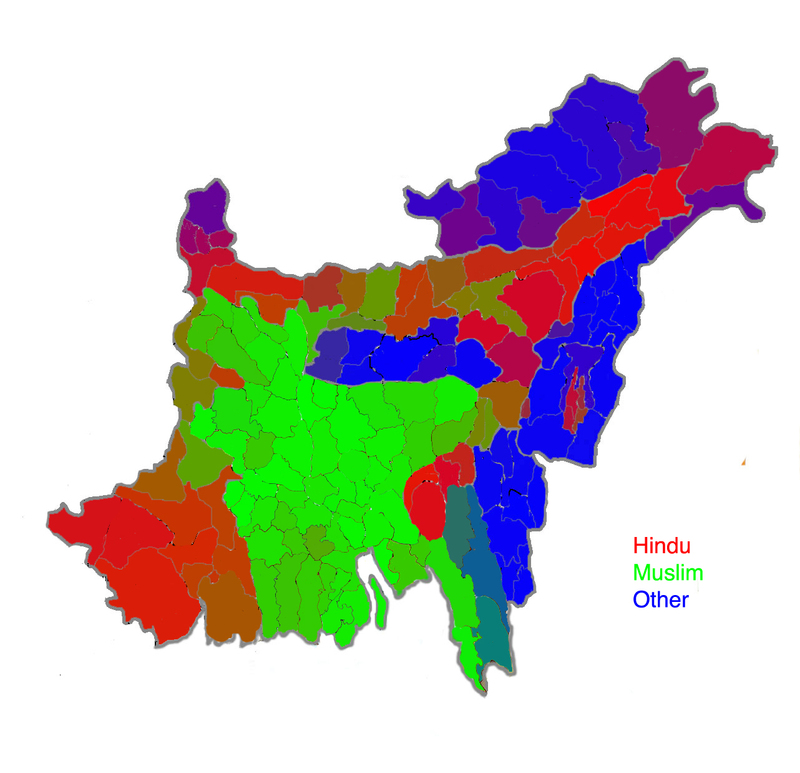 Over the years, there has been a steady trickle of Hindus from East Pakistan, and later Bangladesh into India. There has also been a bigger but illegal flow of Bangladeshi Muslims into West Bengal and Assam as well. This has completely changed the demographic profile of West Bengal and even Assam. In 1951, an estimated 22% of East Pakistani population was Hindu. This number reduced to 13.5% in 1974, following the 1971 war and the ethnic cleansing of Hindus in East Pakistan. As of 2011, an estimated 8.5% of Bangladeshi population is Hindu. As against this, the demographics of West Bengal point towards a massive demographic change. In 1951, Hindus made up around 79.4% of the population of West Bengal,as against 18.63% Muslim. In 1981, there were 77% Hindus and 21.55% Muslims. As of 2011, 70.53% of the population in West Bengal is Hindu, as against 27% Muslims. The districts of Murshidabad, Malda and Uttar Dinajpur that share borders with Bangladesh are Muslim majority, a scenario which poses bewildering challenges to national security. Malda riots and many other such instances are a manifestation of these challenges. The impact of demographics is also evident in many reports that are surfacing. In 2010, land dispute in Deganga over a Durga Puja pandal degenerated into riots resulting in looting, torching of vehicles. In 2013, in Canning, the murder of a Muslim cleric by unidentified men led to 200 Hindu homes being burned down and several Hindu shops being destroyed. In 2015, in Nadia district, a Hindu procession was attacked in front of a Mosque, resulting in riots that left 4 dead and extensive damage to property. Even as far back as 2006, the Imam of Tipu Sultan Mosque in Kolkata could issue a Fatwa against Taslima Nasrin, showing the powerlessness of the state government. And now you have Malda riots that have ushered in 2016. Incidents such as these and many others are downplayed by politicians as being orchestrated by fringe elements. There might be an element of truth in that. But there is also truth in believing that illegal Bangladeshi migration is converting West Bengal into another Bangladesh. Greater Bangladesh- Conspiracy or reality? In 1998, Lt. Gov, S K Sinha wrote a report to President K R Narayanan wherein he claimed that massive illegal immigration from Bangladesh was directly linked with “the long-cherished design of Greater Bangladesh”. Although the theory points towards Bangladeshi desire for Assam (something that was at one time admitted even by Sheikh Mujib-ur-Rehman), it is safe to assume that demographic changes in West Bengal will only aid and abet the cause of Greater Bangladesh. Conspiracy theorists point towards the booming illegal immigration of Bangaldeshi Muslims in search of Food, shelter, better economic opportunities and the fact that immigrants are welcomed by Politicians who use these immigrants as pliable vote banks. The failure of Indian government to seal the border with Bangladesh and its failure to evict illegal immigrants has meant that it has unwittingly played into the hands of the enemies of the Indian state. The need is for Indian polity to unite and join hands to solve this critical issue of National security. Malda riots, or any other such communal disturbance must not be taken lightly. However, given that our political class is selfish and deeply fractured, it is highly unlikely that any drastic steps will be taken soon. Until then, we can only wait and watch. Pathankot Attack: Modi Ji! What happened to “Talk and Terror cannot go together”? Talk With Terror Vs Talk on Terror, What India Wants?